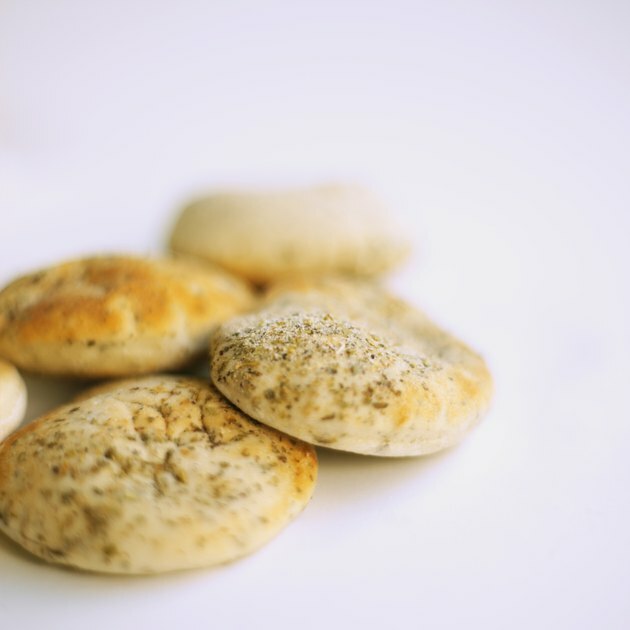 Large, white-bread rolls contain energy from calories, but are short on nutrients, compared to their whole-grain counterparts. In addition, refined flour in white bread is rapidly digested, causing a spike and crash in blood sugar. This leaves you feeling hungry shortly after eating, which may lead to snacking and also to excess calorie consumption. In contrast, whole-wheat or whole-rye breads contain fiber to slow down the digestion, and thus may help you avoid eating too many calories throughout the day. On average, a large, white-bread roll contains about 133 calories. A foot-long roll, large enough to hold a frankfurter, contains about 267 calories. The vast majority of those calories come from carbohydrates, with a small number coming from protein and fat. To balance your meal, pair your roll with a serving of lean protein, such as reduced-fat cheese or water-packed tuna fish, as well as with a serving of fruits or vegetables. ShareCare.com: Why Are Whole Grains Better Than Refined Grains?